A. Bougouin, F. Boudin, B. Daille. Modélisation à base de graphe pour l’indexation en domaines de spécialité.. In Recherche d’Information, Document et Web Sémantique ; éd. ISTE OpenScience, 2018, vol. 1, num. 1. B. Daille, S. Barreaux, A. Bougouin, F. Boudin, D. Cram, A. Hazem. Indexation d’articles scientifiques. Présentation et résultats du défi fouille de textes DEFT 2016. In Recherche d’Information, Document et Web Sémantique ; éd. ISTE OpenScience, 2018, vol. 1, num. 1. C. De La Higuera, T. Akutsu, T. Tamura. A Simple Linear-Time Algorithm for Computing the Centroid and Canonical Form of a Plane Graph and Its Applications. In Annual Symposium on Combinatorial Pattern Matching (CPM 2018), 2018, Dagstuhl, Allemagne. A. Granet, E. Morin, H. Mouchère, S. Quiniou, C. Viard-Gaudin. Transfer Learning for Handwriting Recognition on Historical Documents. In International Conference on Pattern Recognition Applications and Methods, janvier 2018, Madeira, Portugal. G. Roman-Jimenez, C. Viard-Gaudin, A. Granet, H. Mouchère. Transfer Learning for Structures Spotting in Unlabeled Handwritten Documents using Randomly Generated Documents. In International Conference on Pattern Recognition Applications and Methods, janvier 2018, Madeira, Portugal. B. BOUSSAHA, N. Hernandez, C. Jacquin, E. Morin. Next utterance ranking based on context response similarity. In Machine Learning and Data Analytics Symposium (MLDAS), mars 2018, Doha, Qatar. B. Daille, A. Hazem. Word Embedding Approach for Synonym Extraction of Multi-Word Terms. In 11th International Conference on Language Resources and Evaluation (LREC), mai 2018, Myasaki, Japon. J. Liu, E. Morin, S. Saldarriaga. Alignement de termes de longueurs variables en corpus comparables spécialisés. In Actes de la 25e conférence sur le Traitement Automatique des Langues Naturelles (TALN), mai 2018, Rennes, France. A. Granet, B. Hervy, G. Roman Jimenez, M. Hachicha, E. Morin, H. Mouchère, S. Quiniou, G. Raschia, F. Rubellin, C. Viard-Gaudin. Crowdsourcing-based Annotation of the Accounting Registers of the Italian Comedy. In 11th edition of the Language Resources and Evaluation Conference (LREC 2018), mai 2018, Miyazaki, Japon. A. Hazem, B. BOUSSAHA, N. Hernandez. A Multi-Domain Framework for Textual Similarity. A Case Study on Question-to-Question and Question-Answering Similarity Tasks. In 11th edition of the Language Resources and Evaluation Conference,, mai 2018, Miyazaki, Japon. N. Hernandez, A. Hazem. PyRATA, PYthon Rule-based feAture sTructure Analysis. In 11th edition of the Language Resources and Evaluation Conference, mai 2018, Miyazaki, Japon. S. Quiniou, B. Daille. Towards a Diagnosis of Textual Difficulties for Children with Dyslexia. In 11th International Conference on Language Resources and Evaluation (LREC), mai 2018, Miyazaki, Japon. B. BOUSSAHA, N. Hernandez, C. Jacquin, E. Morin. Ordonnancement de réponses dans les systèmes de dialogue basé sur une similarité contexte/réponse. In Traitement Automatique des Langues Naturelles, mai 2018, Rennes, France. F. Boudin. Unsupervised Keyphrase Extraction with Multipartite Graphs. 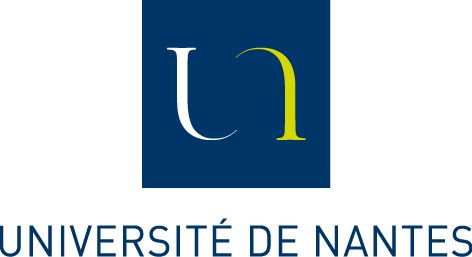 In 16th Annual Conference of the North American Chapter of the Association for Computational Linguistics: Human Language Technologies (NAACL HLT), juin 2018, Nouvelle Orléans, états-Unis. A. Granet, E. Morin, S. Quiniou, C. Viard-Gaudin, H. Mouchère. Separating Optical and Language Models through Encoder-Decoder Strategy for Transferable Handwriting Recognition. In 16th International Conference on Frontiers in Handwriting Recognition (ICFHR), août 2018, Niagara Falls, Canada. A. Granet, E. Morin, H. Mouchère, S. Quiniou, C. Viard-Gaudin. Transfer Learning for a Letter-Ngrams to Word Decoder in the Context of Historical Handwriting Recognition with Scarce Resources. In Proceedings of the 27th International Conference on Computational Linguistics (COLING 2018), août 2018, Santa Fe, NM, états-Unis. A. Hazem, E. Morin. Towards a unified framework for bilingual terminology extraction of single-word and multi-word terms. In Proceedings of the 27th International Conference on Computational Linguistics (COLING), août 2018, Santa Fe, états-Unis. J. Liu, E. Morin, S. Saldarriaga. Towards a unified framework for bilingual terminology extraction of single-word and multi-word terms. In Proceedings of the 27th International Conference on Computational Linguistics (COLING 2018), août 2018, Santa Fe, états-Unis. V. Lesfauries, C. Enguehard. L'introduction de machines à voter en République Démocratique du Congo. In Les Convergences du droit et du numérique, octobre 2018, Bordeaux, France. S. Ghannay, A. Caubrière, Y. Estève, N. Camelin, E. Simonnet, A. Laurent, E. Morin. End-to-end named entity and semantic concept extraction from speech. In IEEE Spoken Language Technology Workshop, décembre 2018, Athens, Grèce. P. Paroubek, C. Grouin, P. Bellot, V. Claveau, I. Eshkol-Taravella, A. Fraisse, A. Jackiewicz, J. Karoui, L. Monceaux, J. Torres-Moreno. DEFT2018 : recherche d'information et analyse de sentiments dans des tweets concernant les transports en Île de France. In DEFT 2018 - 14ème atelier Défi Fouille de Texte, mai 2018, Rennes, France. A. Granet, E. Morin, H. Mouchère, S. Quiniou, C. Viard-Gaudin. Décodeur neuronal pour la transcription de documents manuscrits anciens. In TALN, mai 2018, Rennes, France. M. Mangeot, C. Enguehard. Dictionaries for Under-Resourced Languages: from Published Files to Standardized Resources Available on the Web. Rapport technique, 2018 ; Laboratoire d'informatique de Grenoble.